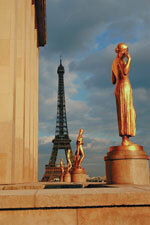 Escorted Europe Tours FREE 84-page Europe Brochure! "A great trip! Full days and an energetic tour guide - we got our money's worth. We can't believe how much we saw." "Fantastic tour! Even better than we anticipated! Would highly recommend Image Tours to anyone." "It was a delightful taste of Europe. A truly well-organized tour, fairly priced, and a wonderful experience." "We had a fabulous time! It was our first trip abroad and with a tour." "The tour was a dream. I learned so much history, thanks to my tour manager!" "I had one of the best experiences of my life. I was very impressed with Image Tours. I had asked three different travel agents about Image prior to selecting the Heart of Europe tour. All agents gave excellent ratings for a superior effort on trips to Europe. Needless to say, I was not disappointed." "Excellent experience, we were well pleased." G. & M.
FINALLY, you found a REAL Person to help you with Escorted European Tours. Hello, we are Escape World Travel. 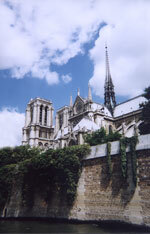 We are here to help you plan an Escorted Tour of Europe. If you can't see this, your browser doesn't understand IFRAME. Click HERE to view the file. 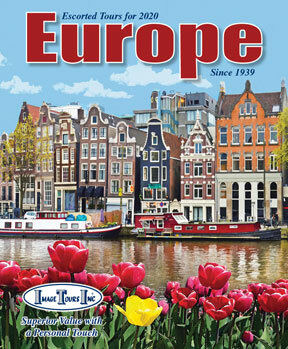 Request a FREE 84-page Europe Brochure! * Required information for us to send you a Brochure. which visits Holland, Belgium, Germany, Austria, Italy, Switzerland & France . If you would like to see a map of the tour, please click here. The land only price is $2,640 based on a per person double occupancy reservation, and includes all breakfasts, several dinners, fully escorted while in Europe, air conditioned motor coach, sightseeing, and tips for pre-arranged services. The air add-ons bring the total package price range from $3,390 to $4,890 depending on departure city and season, and includes domestic air from a choice of over 100 departures cities, trans-Atlantic air, and all a ir taxes, security fees, and fuel surcharges. "Wonderful tour, very well organized. I have been on many tours, this was the best value and most enjoyable I have encountered." 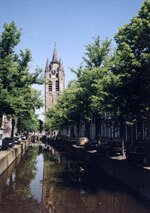 The first step is to call 1-800-968-9089 and request an Image Tours Europe brochure. Or you can click on the brochure in the upper right hand corner of this web site. What happens after you request a brochure from us? We will send you an email that will show you what mailing address you entered into the form. Once you click on the link to verify your address we will send out a brochure to you the next business day. Later we will send you a follow up letter via first class mail to make sure you recieved your brochure. Once you receive the brochure, don't hesitate to call us. We are happy to answer your questions. What is the advantage of requesting a brochure TODAY instead of waiting until I am ready to book a trip? By requesting a brochure now, you will have access to any Early Booking Discounts that are available. We typically send out Early Booking Notices in our Great Travel Ideas Newsletter three to four times per year. "The Heart of Europe was an extremely broadening experience, one which I shall greatly treasure." How Early Should I book an Escorted Europe Tour? What exactly are the steps to book a trip? Again the first step is to request a brochure. as A - B - C.
Choose your desired departure date. 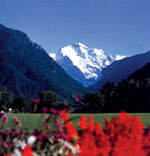 Complete a Reservation Application which you will find in the Europe brochure on page 81. Mail your signed reservation application and a deposit check for $200 plus $175 for the optional travel insurance in the included return envelope. (Full payment is required if booking within 60 days of departure). The reservation application also has a space to enter your credit card information for the $200 deposit. Upon receiving your deposit and signed reservation application, we will continue to guide you through the process of preparing for your tour!